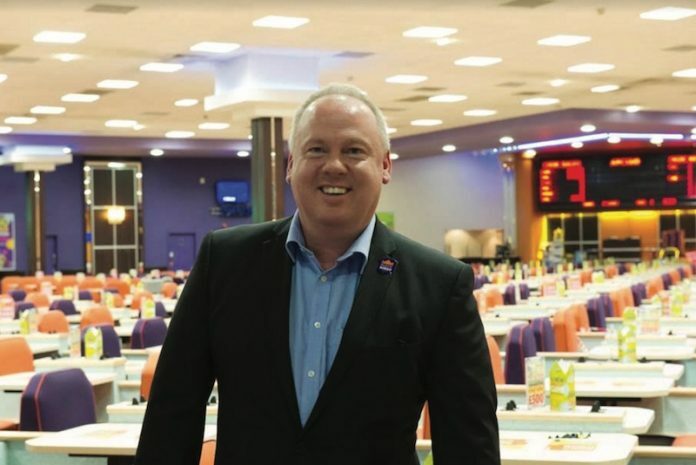 With a server-based platform providing detailed data for Majestic Bingo, the company’s managing director Mark Jepp explains how content and customer education are the driving forces behind community and multiplayer games’ performance. Content and customer education have been the focus of Majestic Bingo’s community games strategy over the past year, with the company looking forward to the next generation of engaging product. While Majestic’s machine offering continues to grow in size and performance, the last 12 months also focused on ensuring customers are aware of the choice of games available. For its community units, the company’s managing director Mark Jepp explained that Majestic created its own artwork to install into infills, making it clear which machines benefit from being played by a group. “The key to improving performance around community has been customer education, clearly marking machines as community. The regulars and core players know which is which, but if you want to broaden the market you have to sell the benefits and features,” he commented. “As such, we have undertaken a lot of work segmenting our Cat C community offer, placing our own internal graphics and collateral artwork into the infills, particularly on SG Gaming’s Triple 7 community product. If customer education is the key for Majestic, content is the engine. Across the company’s 16 clubs, a server-based platform collates data from all machines and all content, both informing and empowering decisions. Indeed, as well as Cat C, Jepp outlined the strong performance of B4 community games – which provide an middle ground between B3 and Cat C.
“We’ve been working with SG Gaming on B4 content, where we have games with a £400 jackpot at a £1 stake, and they are working really well,” he continued. “Community doesn’t work as well on the bigger categories, however, B4 allows for that step in the middle between B3 and Cat C, so we’ve started putting that out and its working well using a server-based platform, which has allowed us to be much more analytical and strategic. Looking ahead to the rest of 2018, Jepp is expecting a strong show from the next generation of community product, with anticipation for branded content from Blueprint and SG Gaming’s Equinox release. With such exciting product in the pipeline ready to be paired with Majestic’s engaging customer strategy,Jepp is optimistic about the future of community in bingo clubs.